Simple, robust and reliable – these are the key characteristics of the KB conical-rotor brake motors. Their unique brake operating principle eliminates the need for separate control or additional switching elements. This is due to the mechanical connection between the brake and rotor. 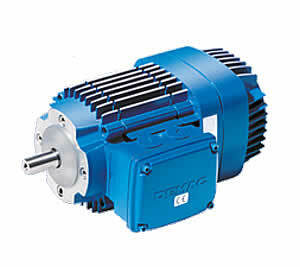 KB motors can be connected to gearboxes via a coupling.